The Arts Integration Summer Institute is a research-based comprehensive pedagogical exploration and immersion training experience in the use of Drama-Based Pedagogy across the curriculum. 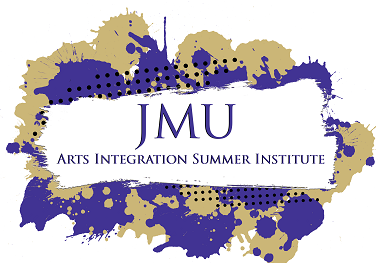 The JMU Summer Institute is focused on arts integration for elementary teachers. This four-day intensive program provides an opportunity for educators and working professionals from across the country to gather and explore the power of learning in and through the arts. Receive a copy of the new Drama-Based Pedagogy book. Explore drama-based pedagogy specific to grade levels. Work in professional learning communities to dialogue and reflect. Develop and redefine arts-integrated curricula. Experience and facilitate arts-integration lessons. Access the Drama-Based Pedagogy Network (online). Facilitated by arts integration and drama specialist Joshua Streeter (Assistant Professor of Theatre Education at James Madison University) and presented in Partnership with Drama for Schools (University of Texas at Austin).